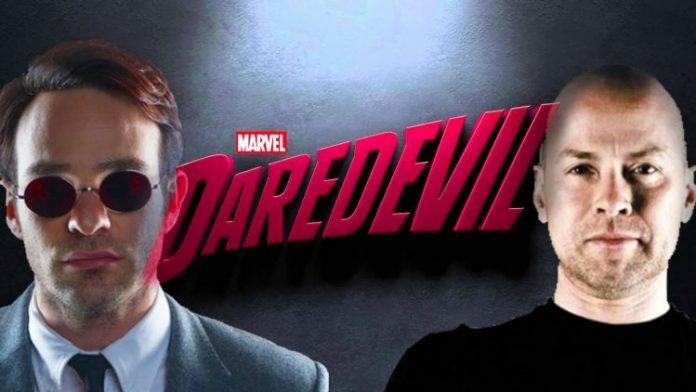 The show-runner of the debut season of Marvel’s Daredevil, Stephen DeKnight has now commented on the series’ cancellation. The show was cancelled suddenly on Thursday, marking this as the latest shocking cancellation by Netflix after Iron Fist, The Defenders and Luke Cage. DeKnight speared the series’ freshman series, even directing its season finale, “Daredevil”, which revolved around the titular character suiting up for a fight against Wilson Fisk aka Kingpin. The second and third season saw Doug Petrie and Marco Ramirez as showrunners before The Defenders crossover, which saw Matt Murdock teaming up with Danny Rand, Jessica Jones and Luke Cage. Netflix, impressed with DeKnight’s bold and visceral storytelling on the first season inked him to a multi-year deal which will see him contributing to both TV series and films to the streaming giant’s library of original content. “It’s sad that we won’t be able to continue the story”. Next articleAre ‘Jessica Jones’ And ‘The Punisher’ Next To Get Cancelled By Netflix?